HomeBlogArtAcrylic Flower Vase #3 by Shiro Kuramata & Ishimaru. 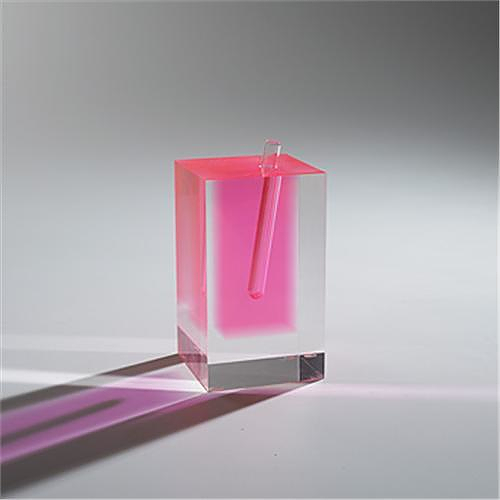 The acrylic Flower Vase #3 by Shiro Kuramata is considered to be a point of reference in the history of contemporary industrial design. This incredible time-enduring piece of art is part of the permanent collection of many important art museums worldwide. Such as the the MoMA NY, the Hara Museum of Contemporary Art, Tokyo, the Indianapolis Museum of Art, and many more. It was designed by Shiro Kuramata in 1989 and manufactured by Ishimaru co. ltd. After producing the famous `Miss Blanche’ armchair, Kuramata was captivated by the new charm of acrylic. 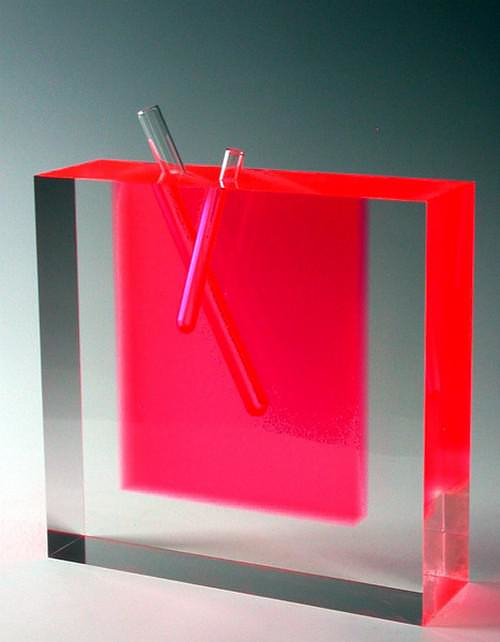 His fascination of working with colored acrylic blocks led him to design a whole collection of uniquely designed acrylic vases. Flower Vase #3 is part of this collection and takes advantage of the unique qualities the acrylic glass has to offer. In all these pieces the colored acrylic receives natural and artificial light, transforms and illuminates itself as if it were in gas or liquid form. The beautiful results were hard to express in words. 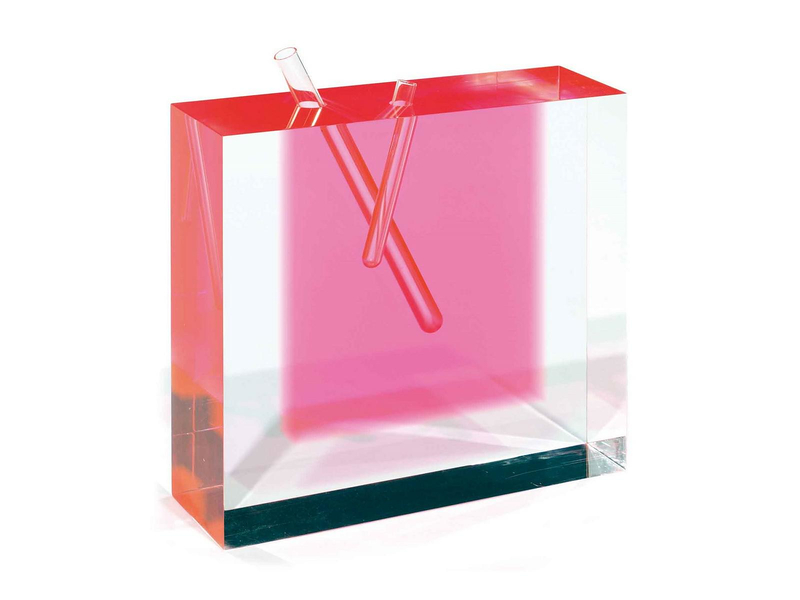 When in fact the flower vase is a static clear shaped block, due to its transparency it appears to be “floating” into space. Its main volume is intersected by dynamic straight lines of clear glass tubes designed to accommodate the flower. 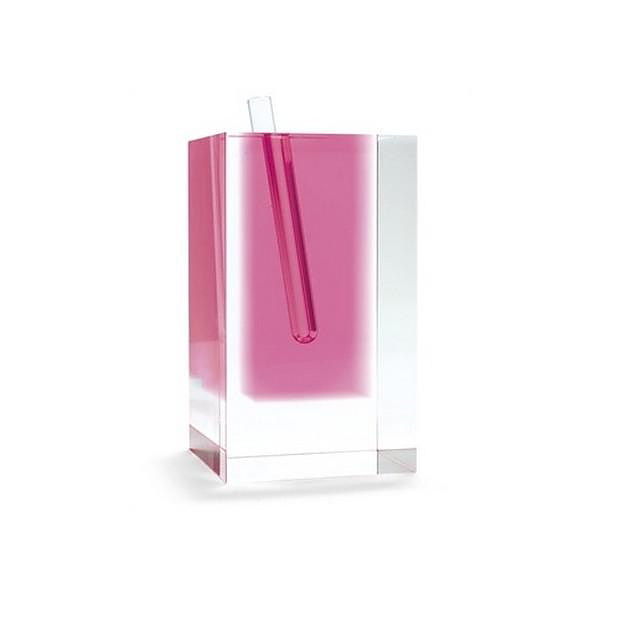 The single narrow tubes and accommodate only one flower and accentuate the minimalistic traits of this stunning acrylic vase. As a single part of nature, with its complete details and nothing more, the flower meets the extremely minimal, almost symbolic, man-made vase. In the scenery we can add the living play of lighting that reflects and refracts through the colored acrylic vase and changes its environment. 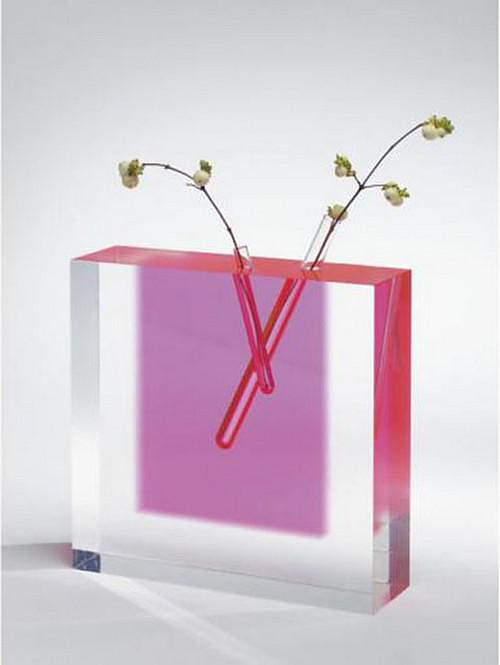 Certainly the floating transparent acrylic vase Flower Vase #3 by Shiro Kuramata is a timeless piece of contemporary design. This piece is now very hard to get your hands on, looking through old records of auctions its price went up many times and was out of control in the mid-90s with a piece selling for a whopping $200,000 in 1993. Shiro Kuramata was one of the most important Japanese designers of the 20th century. 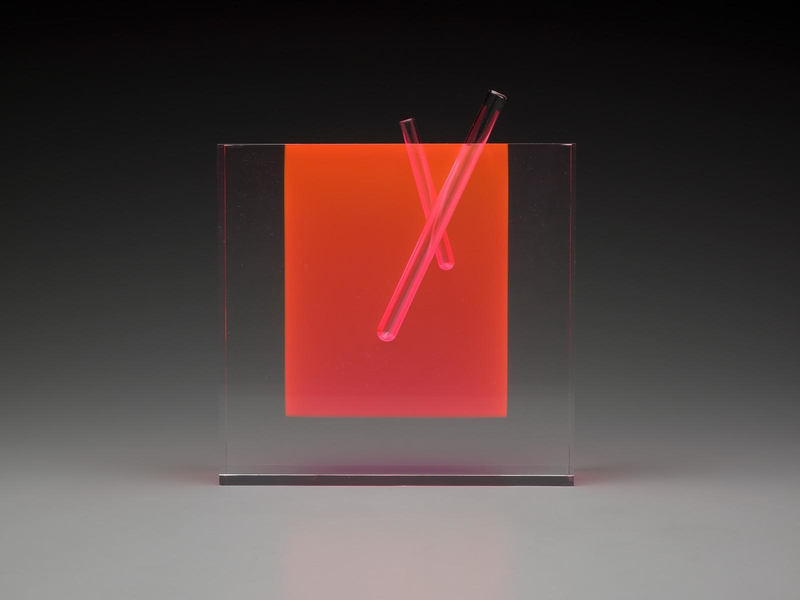 His work revolves around industrial materials which he preferred to use, like steel wire and acrylic glass (Lucite).